Following a road accident, I was knocked off my bikeand left for dead, when the motorist drove off and left me. The first thing that occurred to me which might seem a little strange; was the thought of losing my teeth! I knew that they had been damaged as I’d hit the pavement with them. I managed to somehow find them and stick them back in the sockets as best as possible. Over the years my teeth had already started to twist and move out of line which didn’t help to fill me with confidence. I work frontline with customers all the time and have become very self conscious about my smile. 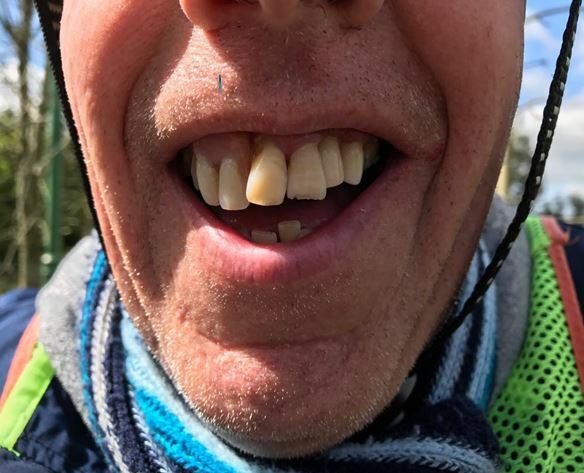 After a visit to the dentist I was given a denture as two of the teeth had to be extracted as the roots had been badly damaged and weren’t stable enough to be functional. I have to say the thought of putting up with this for the rest of my life filled me with dread! I was then fortunate to be put in touch with Steve Charnley from Impression Dental Lab who after a consultation and giving me some options to consider, gave me the confidence and the inspiration to finally get my mouth and smile sorted. He put me in touch with a trusted Dental Surgeon who he had worked with for many years. He was very good and quickly put me at ease and explained in language I could understand the whole process from start to finish. 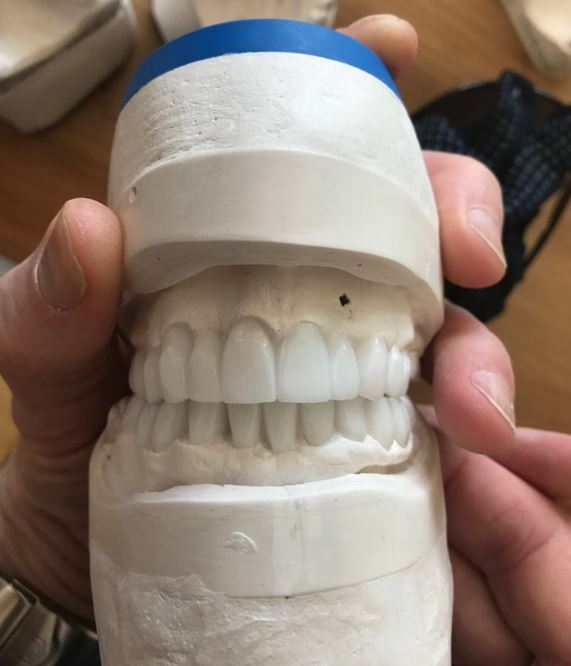 It began with some simple impressions which were used to create a model of my teeth and then a second set was made and a wax mock up was produced giving me an idea of what could reasonably be achieved. I decided to have the more extensive treatment option while I had the chance. I had the surgical part under mild sedation on a Monday, I didn’t feel a thing, the following day I had some mild discomfort and some bruising, but I had been pre advised to expect that. The temporaries were produced using the wax-up pattern that I had approved earlier so I had no unexpected surprises. 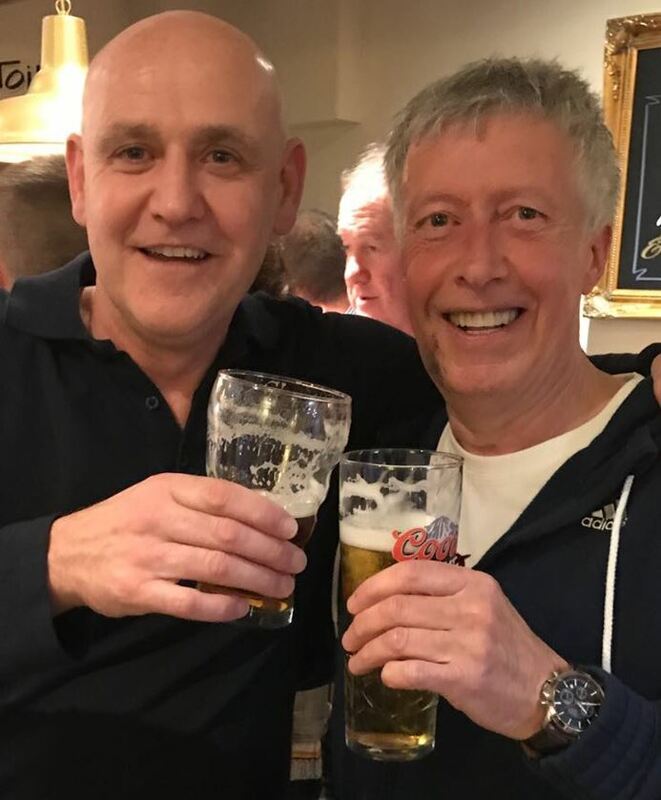 Five days after the surgery, I was out having a drink with Steve. I have to say, and words are not enough, I am absolutely delighted, everybody has commented, I am happy and smiling like I haven’t for many years, it really has been life changing so and can’t wait for the final result. These are only the temporaries and they have made such a difference to my whole life. I’ll have these in for 3-4 months while my mouth settles and fully heals following the surgery. Keep your eye on this space for the end of Steve’s story when the final restorations are made later in the year.